Project ¡VAMOS! Let’s Go Real! ¡VAMOS! 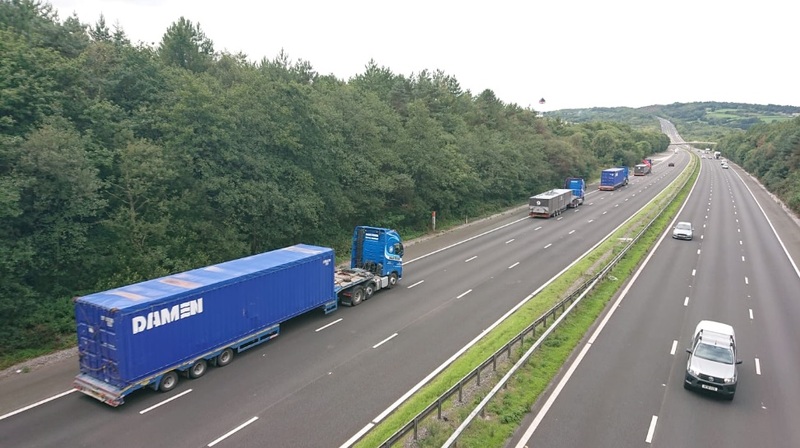 equipment on trial at Lee Moor, Devon, UK. One month ago, we concluded the ¡VAMOS! project with a presentation at the European Commission headquarters in Brussels1. A relieving event after an amazing project. It all started long, long ago, when several people from the early partners came together and their creative minds forged a brilliant concept: let’s apply the experience from the off-shore mining machines to submerged inland mines, to retrieve minerals, which currently are not profitable to exploit2. What will the production rates be in relation to the minerals that can be expected? How do we find out, where the valuable mineral is in a submerged environment? Is the alternative system indeed as easy to handle and environmentally safe as envisioned? All these issues have been addressed in various work packages. As this was not a desk study or a lab experiment, we needed real hardware to test in field trials. 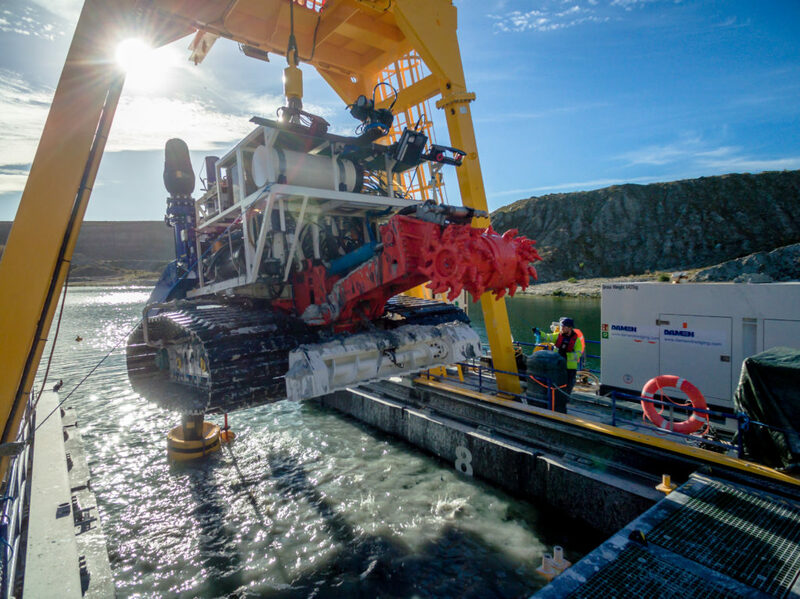 A mining vehicle, a hybrid ROV and a barge to launch the others. The engineering and building was interesting in itself, but the real test was in the two field trials. All the equipment and the people had to perform there. And after all these years since I helped writing the project proposal, it worked! I love it when a plan comes together! All three research questions can be answered positive. We know how to handle such a system and the hardware required. It will definitely look different than the test vehicle. Here we optimized the engineering for the test, not for production or operation. But we definitely know how to configure the components in a viable operating system. The cutting system was tested to the limits, and production rates estimated. This machine was too light as a production model, but the cutting technology will be able to handle the hardest mineral, as long as weight and power can be applied. As there is no direct vision under water, we developed a data fusion system, where measurements from video, laser, sonar and GPS where the environment was presented in meticulous detail and the vehicle completely modelled in geometry, position and movement. At the pit floor, we were literally driving in virtual reality. The machine created some turbidity, deteriorating vision, but it happened to be less persistent than initially thought. The influence from precipitation runoff into the pit caused more turbidity. 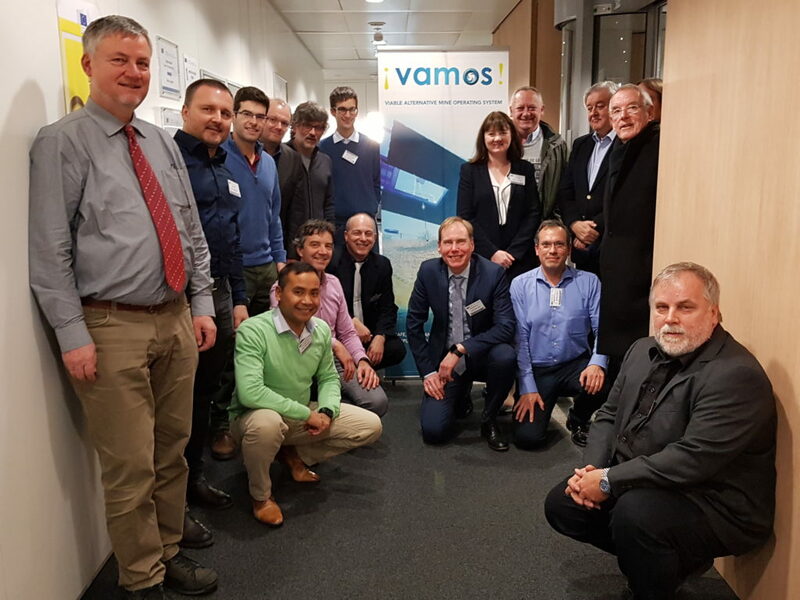 All together, we also prepared several business cases for this system against a conventional solution and there are certainly opportunities for a ¡VAMOS! solution. Results from ¡VAMOS! (a) Cutting tests (b) Virtual vision (c) Equipment handling (d) Viability example (Credit: ¡VAMOS!). The EU was also very interested whether clients were lining up for the real product. However, investments in the mining industry are slow, long term projects. Our main objective was to find out the operational parameters and present this as a viable alternative to conventional system. And that is what we’ve achieved. And the technology has matured enough, that when there is an opportunity for such a requirement, we are confident, that the tested components can be scaled to production size and readily applied. As a research project, we are finished. At each partner, we will still be working on the test results and improving our technology further. For the interested customer: we are ready to offer a production model. ¡VAMOS! : let’s go for real! A happy team after concluding the ¡VAMOS! project. The outcomes and the future of the ¡VAMOS! project, ¡VAMOS! Last week, I was at a test site for the ¡VAMOS! project. It was in the abandoned Magcobar Pit1. Well, only in ancient times, people have been digging for silver at this location. In 1963 the site was opened for a large scale operation to mine Baryte2. A mineral used in the oil industry. After the veins ran out in the open cast mine, they continued underground, extending the tunnels almost to the next mine in an adjacent area. Then they had to stop operation altogether and the pit got filled with water from a small river that now enters in an attractive waterfall. So far the historic perspective of this site. Currently the forgotten mine is bustling with activity. So many people and equipment was brought in from all corners from Europe, it looked like a circus has come to town. When I came there, the team had already set up camp and assembled the Launch and Recovery Vessel. The Mining Vehicle was ready to be deployed and we could commission and test the special drive we had provided for the project3. Another item we had to commission was the dewatering facility. Well, it is a fancy name for a dump area. 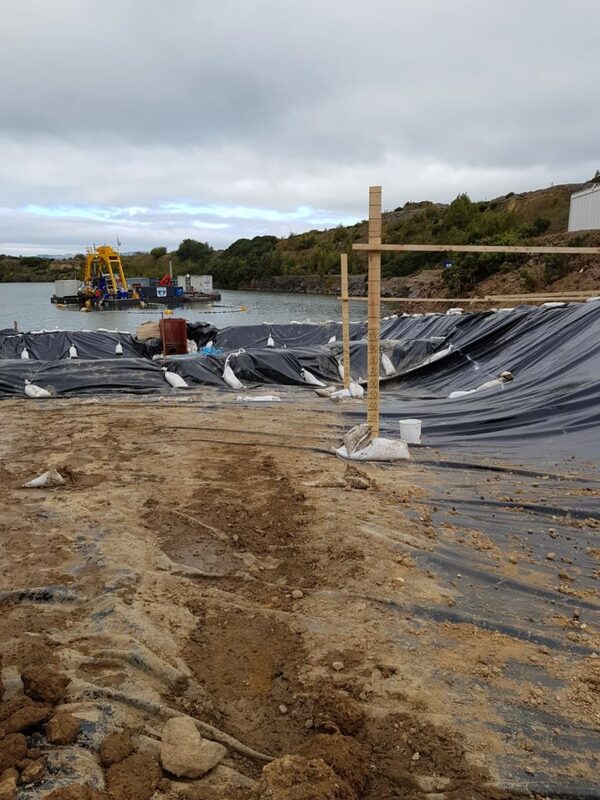 Basically, it is a reclamation area, where we can collect the material that has been cut by the mining vehicle and was pumped through the discharge line to the shore. We had one pond for collecting the cuttings and one pond for containing the fines. Eventually all effluent water was skimmed trough an overflow box. As there might still be some very fine material contained in the overflow water, we wanted to dispose the water at a lower level than where we were going to do the cutting tests with the mining vehicle. This would ensure clear visibility and an undisturbed background turbidity for the effects measurements. 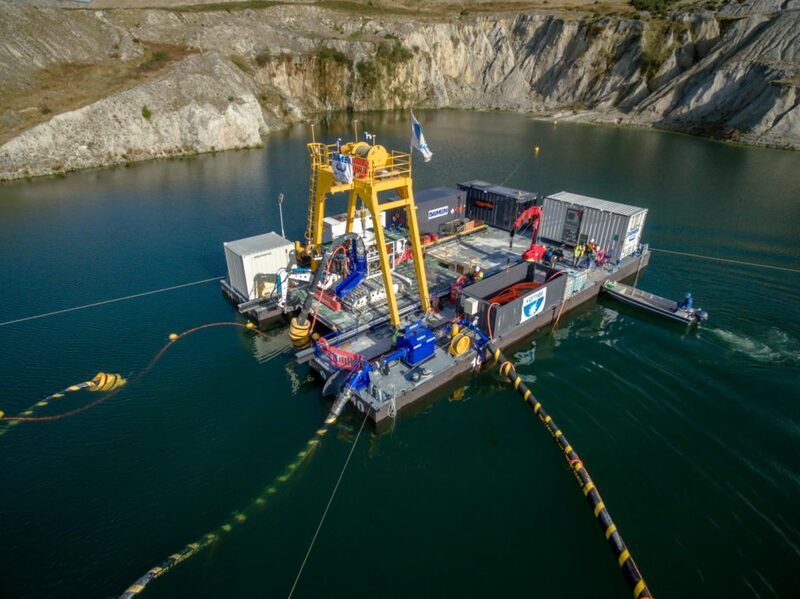 A submerged pipe line for dredging is a well-known component in the dredging industry. If e.g. a discharge line of a cutter suction dredge has to cross a busy fairway, the discharge line is submerged under water, so the traffic can pass without interruption. There are several issues to pay attention to. Selecting the right diameter is the first to consider. You definitely don’t want to block the submerged dredge line. In order to reduce the critical velocity and increase the mixture velocity, the diameter of the submerged pipe is usually chosen a bit smaller than the rest of the pipe. Furthermore, you don’t want any air get trapped in the submerged line. Air inside the line will make the pipes float again, usually at the most inconvenient moment and probably damage the line. Positioning the submerged line can be done by actually having the air in the line slowly escape. The line will lose buoyancy and settle on the bottom. Injecting compressed air will float the line again. The mining we are doing at the Magcobar Pit is solely for scientific purposes. The material we gather and sample will not be used. But, we hope our technology will revive some disused mines again to their former glory. At least get some people back at work. There are a lot of little villages that fully depended on the activity of the mine. 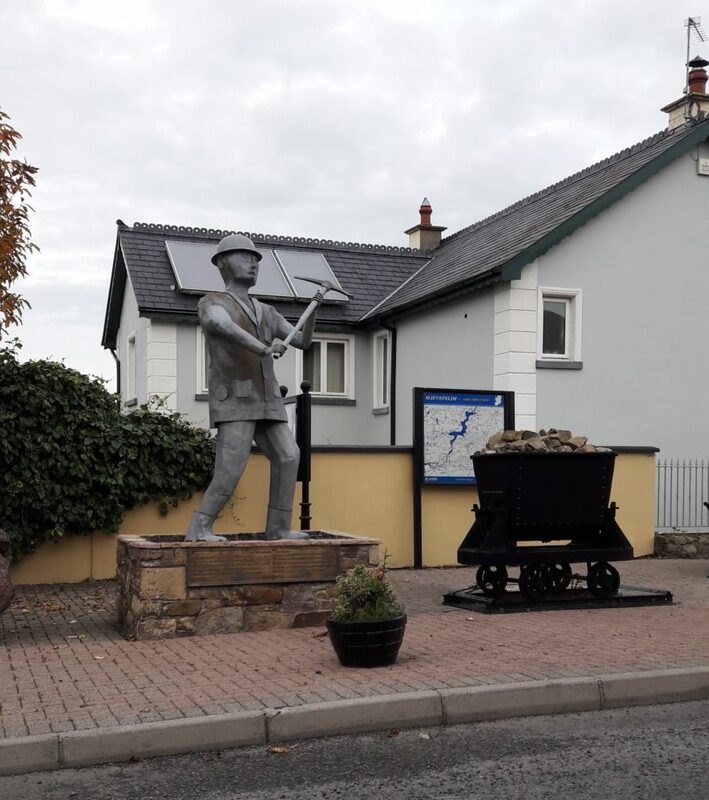 The little town of Silvermines is still remembering those good old times with a little monument to commemorate a glorious past4. ¡VAMOS! preparing for second field tests in Ireland, ¡VAMOS! Today, the WEDA Dredging Summit and Expo 2018 starts1. Tomorrow, Olivier Marcus is going to present a paper on the ¡VAMOS! project2, I assisted co-authoring. The message we wanted to convey is the applicability of the ¡VAMOS! system we’ve developed in a European Research and Development consortium3. By now we were well acquainted with the European Situation, but as this was going to be presented in the United States I had to do some research all over, for the American market situation. It turned out that ¡VAMOS! concept could be used their as anywhere else. First of all, some explanation what the ¡VAMOS! project is about. We’ve noticed that here in Europe mineral resources are heavily depleted or located at locations that are not accessible due to their economic or environmental value. One solution would be to dig deeper, but in open cast mining, you’ll run into an enormous overburden removal and drainage problems. The other is to tunnel mining, but that is very expensive and dangerous. The ¡VAMOS! 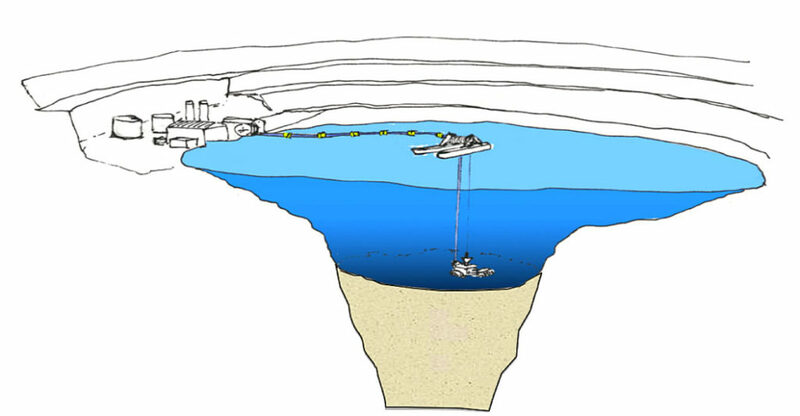 concept opens up a new approach: submerged mining. Instead of pumping the water out, we use it to transport the mineral to the plant. And this is very familiar for us in the dredging industry. So, we’ve found another location where we can discover dredging! 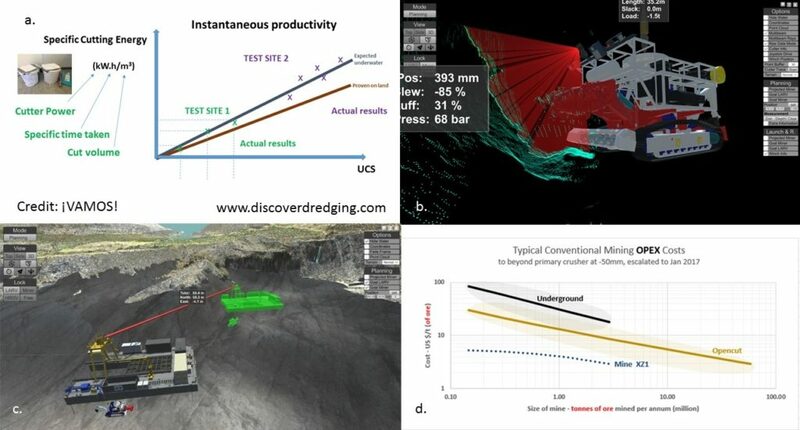 Usually dredging involves transporting huge volumes of sediment, but the fraction of the ore, that is really paying for the operation tends to be very small. In mining terms it is the ore grade. 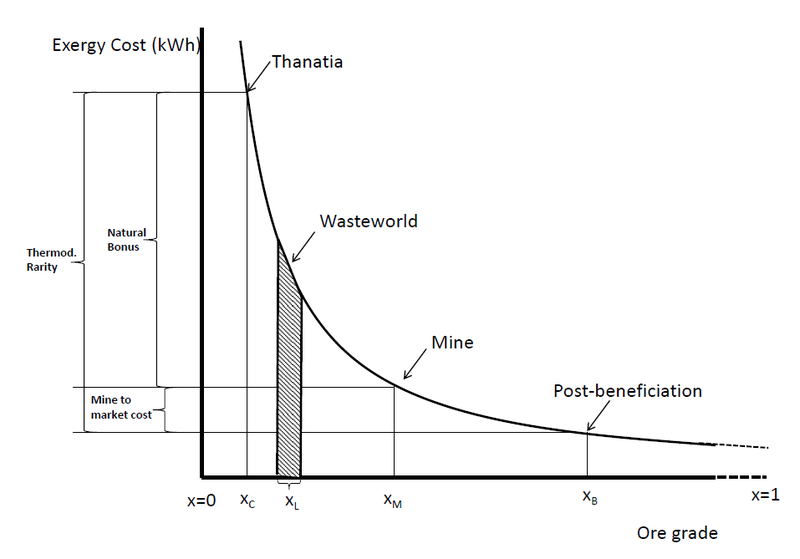 Depending on the ore grade, the operation can be economically feasible or not. As this is a very fine line, mining economics have already done a lot of research on this and they call it the ‘Exergy Cost’. 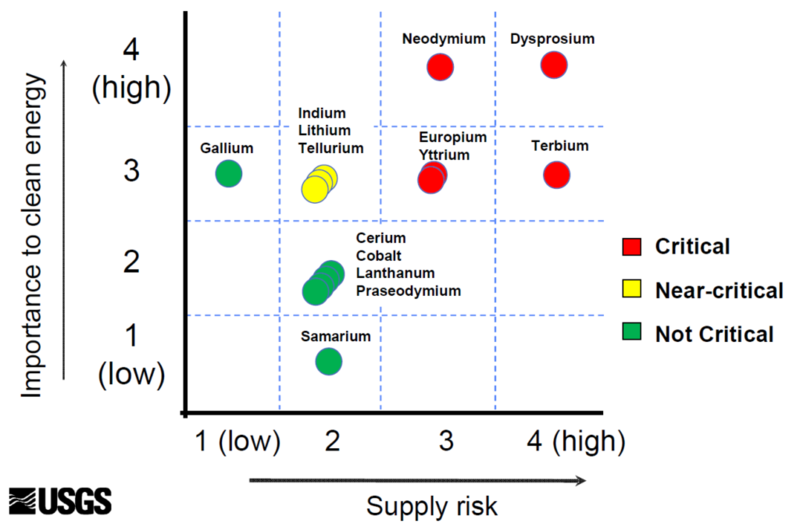 In short: an operation for low grade ore may be more expensive when the mineral is expensive. In fact, when one is mining sand, the ore grade is 100% and the price will be low, so the profit has to come from its volume. This model is basically applicable in both the European and the American market. Although the local business mentality will result in different underlying economic calculations. In Europe we were working with a report on the critical resources that are on the agenda of the European Commission4. It turns out, that now the United States has their own list of critical minerals5, just signed into executive order6. The list differs somewhat, but is certainly recognisable. This is a good indication, that the ¡VAMOS! mining concept can be evaluated equally to the other options for the American market. So, who knows, maybe there is an innovative entrepreneur in Olivier’s audience at the WEDA and the first real production model might be put to work in an American mine. At least, when delivering a product like this, we would not have to worry about the Jones Act.